However, if you already have an existing key, you will not need to generate a new one. Instead, you can simply upload your existing private key. 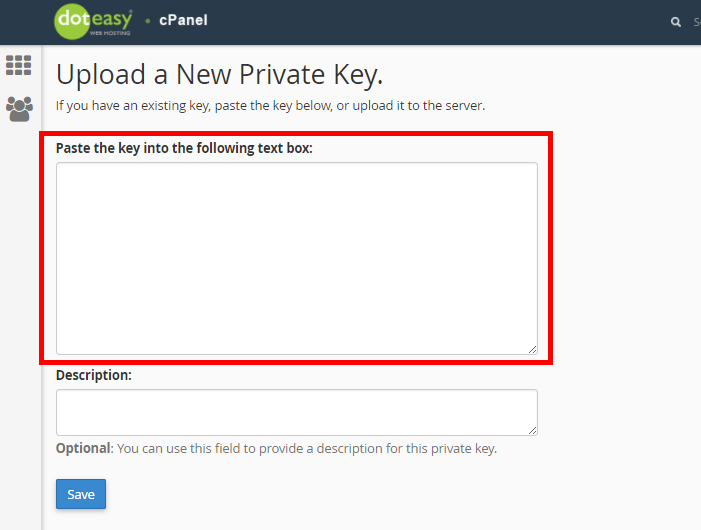 Under Upload a New Private Key, paste the key encryption code into the textbox. When ready, click Save. You will see a confirmation that the new key has been generated successfully. If your existing private key is saved on your local computer as a .key file, you can upload it directly to your account using the Private Key interface. 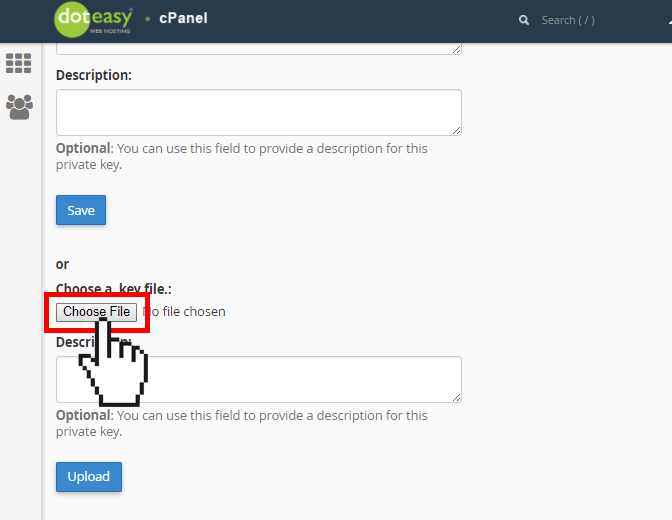 Under Upload a New Private Key, click Choose File to locate the .key file on your local computer. When ready, click Upload. 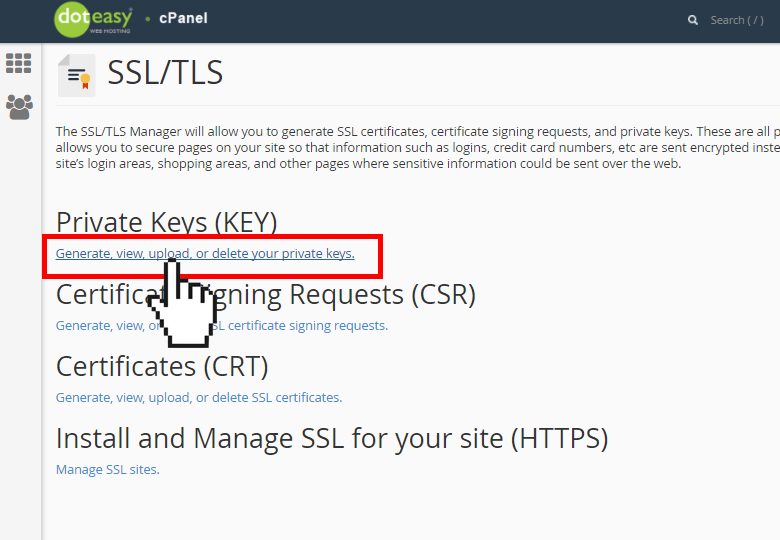 You will see confirmation that the key has been added to your server.